How can I prove that a driver caused my motorcycle crash? Motorcycle accidents where the driver walks away without injury can be devastating for a rider. Without the protection of airbags and steel roll cages, a sudden collision can severely injure a motorcyclist and cause months of expensive and painful recovery. In order to hold the driver accountable for his losses, a motorcyclist will have to provide concrete proof of the driver’s negligence. In addition to collecting and preserving physical evidence after a motorcycle crash, you can help your crash case by detailing the other driver’s actions to your attorney. As you recover from your injuries, your legal team can examine statements made by the driver and witnesses, as well as look for other ways to prove that the driver was at fault. Speeding. Speeding is illegal because it reduces a driver’s reaction times and lengthens the stopping distance needed to safely avoid a collision. Traveling at high speeds also makes it harder to keep control of a vehicle and can be the reason a driver veers into another lane. It is worth checking speed cameras or notations in the police report for evidence that the driver was speeding. Drunk or impaired. A driver who operates a vehicle while under the influence of drugs or alcohol may not only be liable for civil damages, but he or she can be charged with criminal activity as well. Your attorney can investigate any illegal activity on the part of the driver, including a history of drunk driving or blood alcohol measurements taken at the scene. Driving aggressively. If a driver ran you off the road, was honking at you, or was following you too closely before the accident, there is a good chance that other drivers on the scene noticed this behavior. Witness statements can be taken to confirm that an aggressive driver was disregarding traffic laws, while surveillance cameras may have caught the driver’s actions on video. Driving while distracted. Drivers may be distracted by cellphones, radios, GPS devices, food and drinks, or just by talking to someone else in the vehicle. Depending on the type of distraction, an attorney can request cellphone records, passenger testimony, and witness accounts of the driver’s actions immediately before the crash. Negligent. Many drivers fully admit their mistakes at the scene of the crash, but are suddenly quiet when it comes to paying for the costs of the accident. What the driver said at the scene can be used in your case, such as the driver claiming he “didn’t see you,” “wasn’t paying attention,” or even that it was “not your fault.” What many drivers don’t realize is that a failure to “see” a motorcyclist is not a valid defense in an accident case, since drivers should be on the lookout for all types of vehicles. 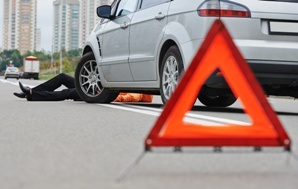 It is worth noting that it is not just the driver who can be liable for an accident. Your attorney should investigate all possible causes, including the condition of your bike, condition of your safety gear, and even the road you were traveling on to see if any other party made your injuries worse. For example, if your helmet is cracked and you suffered a significant head injury, you could have a claim against the manufacturer. If your bike was recently repaired, the parts used or the mechanic’s work can be called into question. Finally, the location of the accident should be inspected for any potholes, debris, maintenance problems, missing guardrails, uneven grading, or other features that could have played a part in the crash. If you were partially to blame for the crash, you can still recover compensation for your injuries. Tennessee’s modified comparative negligence system allows bikers to be up to 50% liable for their own injuries in an accident case, although the damages they receive are reduced by the percentage of fault. Our motorcycle accident attorneys can investigate the details of your accident and get you the maximum compensation you are owed under the law. Fill out our online contact form today to learn more, or request a free copy of our book, The 10 Worst Mistakes You Can Make With Your Tennessee Injury Case. Can I change lawyers in the middle of my personal injury case? If you did not hire the right lawyer for your injury case, you are fully within your rights to look for new representation. The amount you will receive in your case—or whether you win or lose—depends significantly on the actions and competence of your attorney. That said, you should carefully consider the reasons you are unhappy with your lawyer before making the change to a different one. No matter which lawyer you choose, he or she will always be bound by the facts in your case and the laws of the state. If your case is taking longer than expected or your initial settlement offer is lower than expected, this is not necessarily your attorney’s fault. However, your attorney’s actions toward you (or lack of them) are a valid reason for you to change lawyers in the middle of your case. Make you a priority. Lawyers often work on multiple cases at a time, but that is not a good reason to treat your case as if it is not important. A lawyer who lets phone calls and emails go unreturned or frequently cancels appointments is not invested in your case. If your lawyer forgets your name, the details of your case, or the last action he took to serve you, it may be time to seek other representation. Answer all of your questions. With so much riding on the outcome of their case, few clients are content to let everything happen “behind the scenes.” Your attorney should answer all of your questions to your satisfaction, including explaining why he or she is taking certain actions to resolve the case. Be qualified to handle your case. You may really like the attorney who drafted your will, but that doesn’t mean he is qualified to handle your accident case. If your attorney has not handled your kind of case before, he or she should be willing to refer you to someone with more experience in that area. Respect your decisions. Your attorney is the legal advisor, but you have the final say on what advice you take. Your attorney should listen to all of your requests, including whether or not to accept a settlement. Keep you updated. Some cases may take longer than others, but it is your attorney’s duty to keep you advised of the status of the case. Make it clear that you want regular progress updates in addition to an alert whenever an important change is made, and consider it a red flag if these notices taper off. Act responsibly and ethically. An attorney who engages in unethical behavior, such as encouraging you to lie about the facts of your case or destroy evidence, should be exchanged for another representative immediately. It is best to sign another attorney for your case before notifying the former lawyer that you are leaving. This is not only because your new attorney will handle most aspects of the switch for you, but also because he or she can make sure your case is progressing during the transition. It will also save you the headache of being turned down by attorneys who do not want to take cases that another lawyer has been working on. Determining the cost of switching. Since most personal injury lawyers are paid from the settlement you receive, your first attorney will not get anything if you switch. Your new attorney should examine your contract with the former attorney to see if there are any fees you will have to pay when you terminate the agreement. Signing a retainer agreement. Just as you did with your former attorney, you will have to sign a form to give your new lawyer permission to represent you. Sending a stop work letter. Your new attorney must send a "stop work" letter to your former attorney, which requests that he stop working on your case and forward the case file to your new attorney. Signing a consent form. Your new attorney will prepare a form for you to sign, called a Consent to Change Attorney, to notify the court and all parties in your case that you have switched attorneys. If your case is already undergoing court proceedings, your attorney will also need to provide notice of withdrawal or substitution of counsel. If you are unsatisfied with your current attorney, our Tennessee personal injury lawyers can advise you on whether making a switch is the right thing to do for your case. Contact us today for a no-obligation consultation, or request a free copy of our book, The 10 Worst Mistakes You Can Make With Your Tennessee Injury Case. How is my motorcycle crash claim different from other accident cases? In Tennessee, the same laws apply to crash cases whether they involve motorcycles or passenger cars. 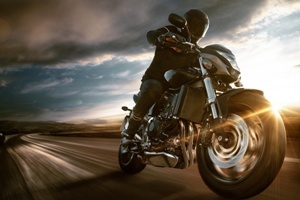 However, there are a great many additional factors that must be considered in cases where a motorcycle rider has been injured, including who may be held liable and how much each party needs to prove to win compensation. If your attorney does not specifically handle motorcycle crash cases, he may overlook the importance of these differences, resulting in less compensation than you deserve. Severity of injuries. The cost of injuries in motorcycle accident cases is often much higher than in accidents involving two vehicles. Without the safety of steel frames, seatbelts, airbags, and other safety features, motorcyclists are much more vulnerable to injury. It is not uncommon for a motorcyclist to suffer broken bones, traumatic head injury, or loss of a limb in a crash where the driver walks away with minor bumps and bruises. Road designs and hazards. The design and condition of a road is more important for a biker than it is for a driver. Ice and debris on the road can be perilous for motorcyclists, while blind corners and uneven terrain make the odds of a motorcycle accident much more likely. Many bikers are unaware that road designers and municipalities can be held liable for causing their accidents. Stigma against riders. Many people wrongly perceive motorcyclists as risk-takers or unsafe riders. Unfortunately, this may cause a judge or jury to see the biker as playing more of a role in causing the accident than he or she is responsible for, lowering the amount of compensation awarded. Fault considerations. Tennessee’s fault system in injury cases is one of modified comparative negligence, meaning a victim can only recover damages if he is 49% or less to blame for the accident. Motorcyclists are often too injured to recover evidence at the scene, record the names of witnesses, or give police statements at the time of the crash, sacrificing vital evidence that can be used to prove their innocence. Insurance company tactics. As motorcycle crashes tend to have higher injury costs, insurance companies are more likely to deny and underpay claims made by motorcyclists. In addition, adjusters are well aware of the public’s bias against motorcycle riders, making it easier for them to pressure victims into accepting less than their claims are worth. Manufacturing and repair defects. Many motorcycle accidents are a result of a problem with the overall design of the bike or the quality of its components. If the motorcycle was in some way defective, the rider can pursue a case against the person responsible (such as the maker of the bike, distributor of the defective part, or someone who performed inadequate repairs). Unfortunately, many riders repair their motorcycles as quickly as possible after a crash, destroying vital evidence that could be worth thousands in an injury case. Permanent effects. Motorcycle accidents will often result in lifelong paralysis or other permanent consequences for the rider. This may make it impossible for him or her to earn a living, while at the same time causing a sharp increase in medical and living expenses. If the accident is fatal, survivors will have to shoulder the burden of funeral expenses, unpaid medical bills, and other end-of-life costs. If you have been injured in a motorcycle accident, we can help you get proper compensation for your injury costs, loss of income, property damage, and pain and suffering. Fill out the quick contact form on this page to have the attorneys at GriffithLaw explain your rights in your free case evaluation, or order a free copy of our book, The 10 Worst Mistakes You Can Make With Your Tennessee Injury Case. No matter how straightforward the details of your case may seem, you will still have to make a clear case of negligence in order to get compensation after a crash. It all comes down to what you can prove and what you use to prove it, making the quality of your evidence vital to winning your case. You were owed a duty of care. 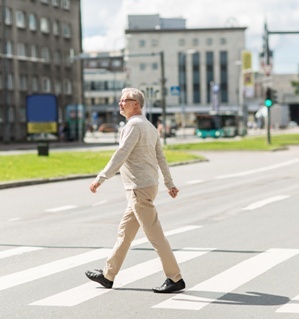 The other party who is named in your lawsuit must have owed you consideration for your safety, called a “duty of care.” A driver who struck you owes you a duty of care, since all road users have a duty to obey local traffic ordinances and drive as safely as possible. If you are suing someone other than a driver, you must establish that he or she owed you a duty of care. The negligent party breached the duty of care. Once you have shown that someone owed you a degree of safety, you must show that his or her actions were in violation of that duty. This proof hinges on showing that a reasonable person would not have acted as the negligent party did. Common breaches of care can include distracted driving, speeding, drunk driving, tailgating, or road rage. The breach of care resulted in your injury. It is not enough to show that a driver was negligent, or even that a driver’s negligence caused an accident. You must also prove that the negligent party’s actions directly caused your injuries and property losses. This may be difficult for a victim who suffered aggravation to a previous injury, as they will have to show that the accident was the primary cause of the injury becoming worse. The breach of care resulted in financial losses. In order to recover the costs of an accident, you must prove that all of the losses you are claiming are directly related to the crash. This can include property damage (such as the cost for repairs to a vehicle), costs related to your injuries (such as medical bills and rehabilitation), and income losses (including the wages you were unable to earn while you were out of work). You were less than 50% to blame for the accident. Tennessee injury cases rely on a system of modified comparative negligence. Simply put, this means that a victim can recover damages even if he or she shared some of the fault for the accident; however, damages will be reduced by each party’s percentage of blame. In addition, state law requires that accident victims can only collect damages if they are less than 50% at fault for the accident. If you are more than 50% to blame, you will not be eligible to receive any payment in your injury claim. All of the evidence you gather should have one goal: proving one (or more) of the factors above. Pictures and videos of the accident scene, vehicle damage, and road conditions are an effective way to demonstrate the extent of injury and financial loss. Physical evidence, such as the clothes you were wearing at the time of the crash, can show the extent of physical and emotional trauma. Police reports are inadmissible as evidence in the state of Tennessee. On the other hand, the reports can be used to track down witnesses, recreate the scene, and serve as leads for gathering other forms of evidence (such as a police officer’s or eyewitness’s testimony). Finally, statements from repair shops and medical providers are necessary to provide an accurate estimate of your accident costs. If you have been injured in a car accident, we can help you collect evidence of your injury costs, loss of income, property damage, and pain and suffering. Fill out the quick contact form on this page to have the attorneys at GriffithLaw explain your rights in your free case evaluation, or order a free copy of our book, The 10 Worst Mistakes You Can Make With Your Tennessee Injury Case. Why are teen drivers more likely to cause car crashes than other age groups? All parents want to keep children safe in car accidents, even if the child is the one who is driving. Unfortunately, car accidents are the leading cause of death for teenagers in the U.S., and teenage drivers have some of the highest accident ratings of any age group. According to the Centers for Disease Control and Prevention (CDC), 2,333 teenagers in the United States between the ages of 16 and 19 died in 2015, and 221,313 were treated in emergency departments for car accident injuries the previous year. On average, six teenagers die every day as a result of crashes, whether they are behind the wheel or riding as a passenger. Lack of experience. Teen drivers have triple the fatal crash risk of older drivers, in part because they do not have the skills to recognize and avoid road hazards. Teens often spot hazardous situations (such as wet roads or cars stopped on the shoulder) later than more experienced drivers, and they are also more likely to underestimate the dangers of a potentially harmful situation and make a critical error that leads to a crash. The risk of an accident is highest during the first few months after the teen has gotten his or her license, and decreases as the driver gains experience on the road. Distractions. Drivers under age 20 have the highest rates of distraction-related fatalities in the nation, especially those who text and use cellphones while driving. In 2015, the CDC’s Youth Risk Behavior Surveillance System (YRBSS) found that 42% of high school students who had driven in the past 30 days admitted to sending a text or email while driving. Students who admitted to frequent texting were also more likely to engage in other risky driving behaviors, such as drinking. Driving with friends. Researchers have discovered a link between the number of teen passengers and increased crash risk when an unsupervised teenager is driving. Fortunately, Tennessee’s Graduated Driver License (GDL) Program has rules in place to prevent teenagers who are still learning from carrying too many passengers. Those driving with a learner’s permit may only drive with a licensed driver over 21 in the front seat, and those with an intermediate license (Level II) may only have one passenger in the car. Speeding. Teens are likelier to engage in activities that make it difficult to stop suddenly, including speeding and following too closely behind another vehicle. Risk-taking behavior increases with male teen drivers, especially if there are male passengers. Weekend and night driving. Teenagers whose licenses no longer have night-driving restrictions are at significant risk of suffering fatal accidents. In 2014, half of all teenage deaths from car crashes took place between the hours of 3 p.m. and midnight. Weekends were also particularly deadly, with 53% of fatalities occurring on Friday, Saturday, or Sunday. Drinking and drug use. Over a million high school teens drink alcohol and get behind the wheel every year. One survey from 2015 found that 20% of teenagers admitted to riding with a driver in the previous month who had been drinking alcohol. In 2014, 17% of drivers between the ages of 16 and 19 who were involved in fatal crashes had a BAC of .08% or higher. Lax seat belt use. Teenagers have some of the lowest rates of seat belt use when compared with other age groups. A 2015 survey discovered that only 61% of high school students always wear seat belts when riding with another person. Teen drivers with involved parents were twice as likely to wear seat belts regularly. Can Police Reports Be Used at Trial In Tennessee? What laws do Tennessee bicycle riders have to follow? Bicycles are not just for childhood recreation—they are a form of exercise and even a commuter vehicle for fit and environmentally friendly riders. In Tennessee, bicycles are legally classified as road vehicles, and that status allows riders the same rights and protections as drivers of passenger cars. 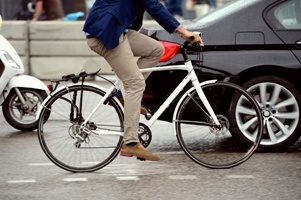 However, just like driving, bike riding must be done according to state laws—and failure to follow safe riding laws can increase your accident risk and affect your recovery in a bicycle crash case. Tennessee classifies a bicycle as any human-powered pedal vehicle with two tandem wheels that is designed to carry one or more people. Some pedal vehicles may be legally considered bicycles if they have more than two wheels, but only if they are used for transport on highways, streets, or other public rights-of-way. Ride with the flow of traffic. Bikers are required to ride on the right-hand side of the road in the same direction as traffic. Bikers are required to follow the same laws as cars when riding in traffic, obeying all traffic signs and signals. Use lights and signals. Bikers must use hand signals to communicate their intentions and are required to equip their bicycles with a front-mounted white light and a red rear reflector or lamp that are both visible from at least 500 feet away. Adhere to child safety laws. While riders over age 16 may choose to ride without a helmet, all bicycle riders under the age of 16 are required to wear a bicycle helmet on all rides. In addition, any child passengers (those under 40 pounds or shorter than 40 inches) must be in a bicycle trailer or restrained in a child safety seat attached to the frame. Ride as the bicycle designer intended. Riders on a bicycle should be seated on or astride the bicycle’s attached seat and carry no more passengers than the number for which the bicycle is equipped. Violation of these laws may be charged as a Class C misdemeanor. Never cling on to vehicles. Riders on bicycles, roller skates, sleds, or other rolling devices are forbidden from grabbing or holding onto motorized vehicles in motion at any time. Violators of this regulation may be charged with a Class C misdemeanor. Keep at least one hand on the handlebars. Bicycles are often used as delivery vehicles for newspapers, food orders, and other small items. However, it is a Class C misdemeanor to carry any package, bundle, or article that prevents the bike rider from keeping at least one hand on the handlebars at all times. Equip their bicycles with regulation brakes. All riders have a duty to equip their bicycles with one or two brakes that enable the bicycle to stop within twenty five feet from a speed of ten miles per hour on a dry, level surface. Stop at intersections with vehicle detection devices. Many traffic control signals use vehicle detection devices to keep traffic flowing smoothly. However, smaller vehicles such as bicycles may not be detected by these devices, rendering the traffic lights inoperative when only the biker is present in the lane. At these inoperative signals, riders are required to come to a complete stop at the intersection and only proceed after ensuring that the direction of travel is clear. If you have been injured in a bicycle accident, it may take months or years for you to fully recover from your injuries, all while you are unable to earn a living. You should not have to suffer due to someone else’s negligence. Our attorneys can listen to your story and explain to you how much your claim may be worth. Contact GriffithLaw today for a free evaluation of your case, or order a free copy of our book, The 10 Worst Mistakes You Can Make With Your Tennessee Injury Case. Should I Have Uninsured Motorist Coverage for My Car?